Got out to do some night fishing throwing flies. 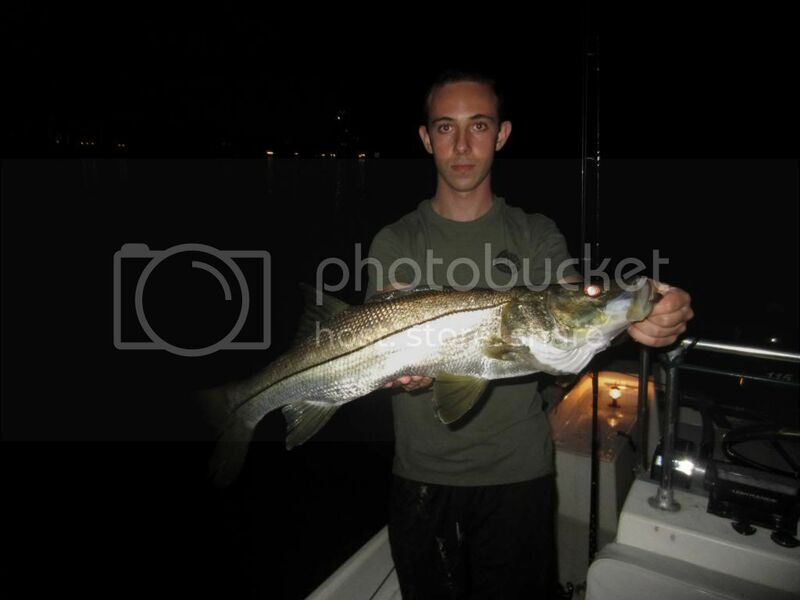 My son landed his first tarpon on the fly and we had a double hookup on snook. Landed 4 snook total with one just making a slot. Took a few casts at 100+lb tarpon but could not get them to bight. 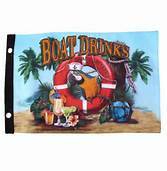 Were you by Boca Inlet, near Lake Boca Area? Sounds like a good bonding trip. 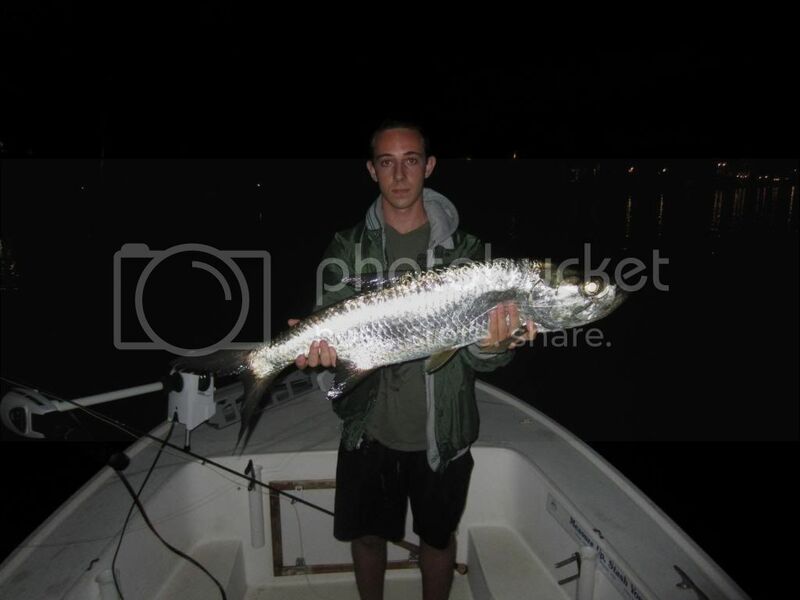 tarpon was caught north of palmetto and snook south of camino. We did not see any fish around lake boca. Good Stuff! look for your post in the fly fishing section on the front page of the website. "People will be allowed to temporarily possess a tarpon for photography, measurement of length and girth and scientific sampling, with the stipulation that tarpon more than 40 inches must remain in the water." jbdba01 thank for heads up. We never keep tarpon and always let them go. My son just held it up for a picture. Fishing bridge shadow lines for the poons? 10-4; I've yet to fully understand what "remain in the water" means. I've heard that just having the tail in is enough, but dunno. Perhaps a LEO could expand on that. I love that stretch just south of camino. A good amount of underwater lights and very little actual docks.